Autoblopnik.com presents more new product news you won’t find anywhere else… thank goodness. 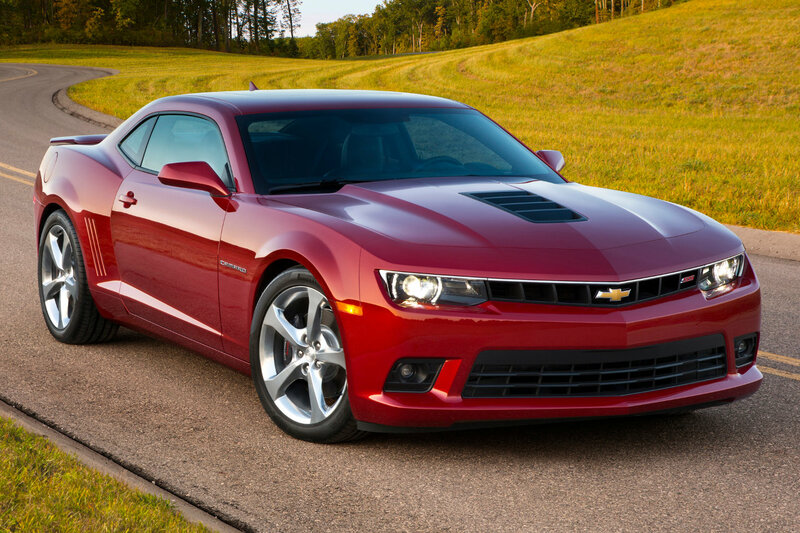 CAMARO: The front and rear fascias have been restyled, and all Camaros now come with a prescription for anti-depressants to help owners deal with the interior, which is as dark and dreary as ever. CORVETTE: Redesigned for 2014, now called Corvette Stingray. We recommend the “Not A Cliche Yet” edition, which will only be available for six months. IMPALA: All-new for 2014. A check made out to Consumer Reports is standard equipment. MALIBU: Redesigned to address the faults of the 2013 model, with updated the exterior styling, improved back seats, and revised engine, transmission and suspension calibrations. GM says this was their second choice for a fix, but supplying every new Malibu with its own crusher was prohibitively expensive. 300: Unchanged. You got a problem with that, fuckface? Because if you do, we could step outside and talk about it. TOWN AND COUNTRY: Chrysler’s minivan will remain unchanged through the 2017 model year as punishment for all those nasty things you said about the Dodge Dart. AVENGER: Unchanged, which should come as a huge relief to the millions of traveling executives who might otherwise be forced to rent a halfway-decent car. CHALLENGER: Several new colors are available, including Douchebag Yellow, Ridiculously Annoyingly Obnoxiously Hideous Green, and Nobody Knows I’m Gay Purple. DART: New Alfa Giulietta Package includes rusted-out fenders and a rain-sensing engine that won’t start when the humidity rises above 65%. VIPER: Discontinued. By fitting stability control to the 2013 model, Chrysler inadvertently cut off the supply of rich dickheads who wreck their Vipers and come back to buy another one. More new product news coming soon, because frankly we haven’t thought up anything really funny this week.